Used vehicles often have a rich history that prospective buyers are not privy to know. Each vehicle’s background may include a checkered maintenance schedule or repeated minor collisions. Luckily, the way previous owners cared for their cars is directly reflected in the condition of the main components. As a buyer, you have the right to fully inspect the vehicle from nose to tail to create a clear picture in your mind regarding its overall condition. 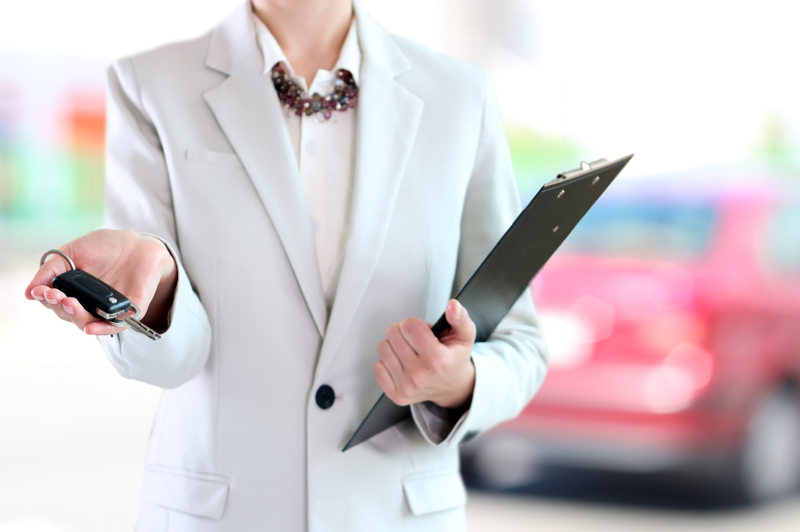 Here are eight areas that demand a closer look during the used car inspection process. 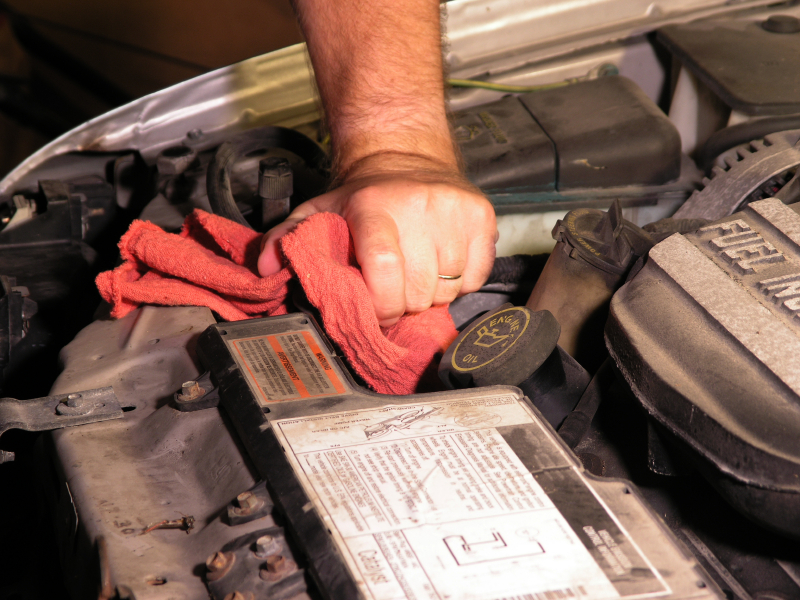 When buying a used car, the first step in the inspection process is the engine. Without a good running engine, the car will be little more than oversized yard art for your driveway. Pop the hood and check the surface of the engine for obvious drips and splatters of fluid. 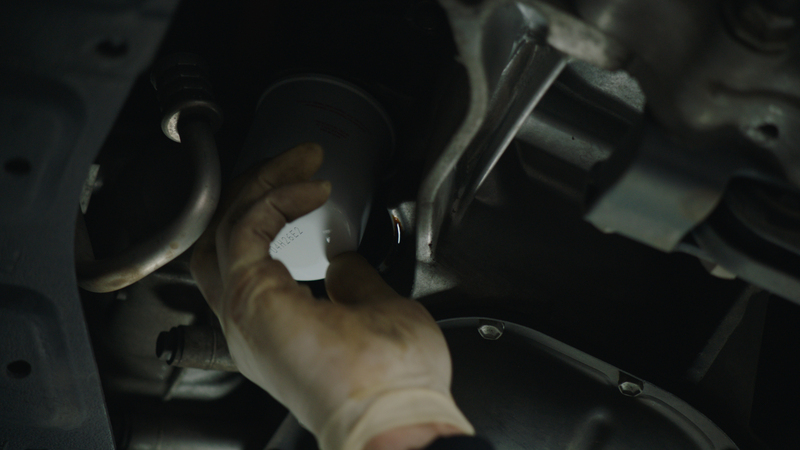 Use the dipstick and bottle increment-marks to check the fluid levels in the oil pan, transmission, radiator, and power steering system. Start the engine to make sure it runs evenly without misfiring or stalling out. A quick shakedown of the suspension can tell you a lot about the series of interconnected components supporting the vehicle. You can perform the shakedown by grasping either side of one wheel and shaking with all of your might. You should not notice more than a 1/4 inch of side to side or back and forth movement. You can use a single penny to measure the amount of life left in a set of tires by turning it upside and placing it between the tread. If the tread leaves Lincoln’s head exposed, the tires are in dire need of replacement. Completely smooth or thoroughly cracked tires should send you running for the hills, as that level of neglect indicates the rest of the vehicle hasn’t received attention in a very long time. A car with leaky exhaust will fill the cabin space with noxious odors and make a racket while driving down the road. 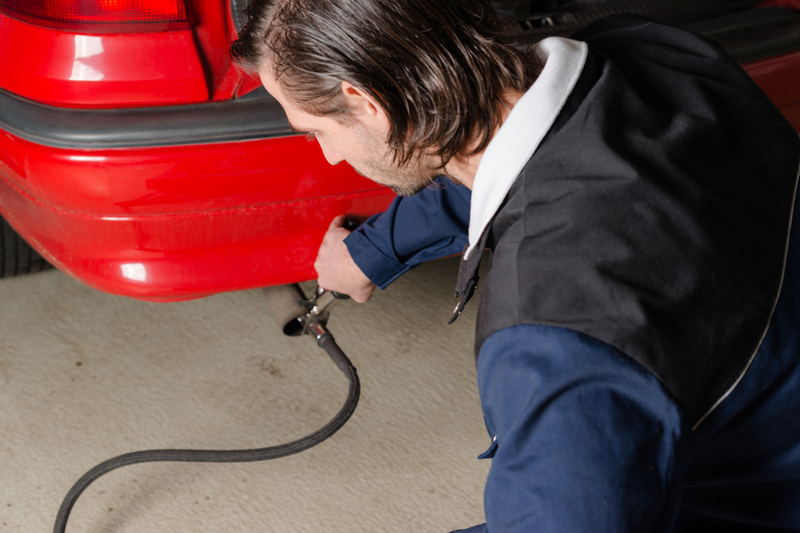 You can simply peek under the vehicle to note if the exhaust has any large holes or missing sections while you decide to buy a used car. You can have the exhaust system replaced with aftermarket parts, so holes in the muffler or pipes are not necessarily a deal breaker. As you learn what to look for when buying a used car, the exterior may provide the largest learning curve. After minor collisions, body shops can fix the panels to look almost like new. However, there are some subtle signs to watch for, including slightly mismatched paint from one panel to another. You can peek down the side of the vehicle to look for waves or indents that indicate previous bodywork. At first glance, many automotive interiors look nice enough. Getting into the vehicle, however, is the moment you will realize the real state of the vehicle. Springs threatening to poke up through the seat cushions or upholstery stretching at the seams may indicate that the car is not aging as gracefully as you initially assumed. While learning how to buy a used car, take the time to check all of the accessories to make sure they work as expected. Pay particular attention to the lights, inside and out, while turning the accessories off and on. Activating certain systems together may reveal previously hidden electrical gremlins. Turn on all of the exterior lights and have a friend repeatedly press down the brake pedal as you take a walk around the outside of the car. Look for light bulbs that seem dim or outright fail to turn on during this initial inspection. One of the most important questions to ask when buying a used car is if the title is clear. Although the title is not a physical part of the vehicle, its importance outweighs all of the other factors. Without a clear title, the vehicle’s value is likely well below the suggested price, if the owner has a right to sell it at all. Furthermore, you should thoroughly inspect the paperwork to make sure the information on the owner’s official identification card exactly matches the name on the title. No matter how nice the car, always walk away from issues with the title. If you do note some physical problems with the vehicle, rate the issue’s severity and determine if you are willing to perform the necessary repairs. If the problem is within your realm, you can always negotiate the price downward to reflect the costs of taking it in for repairs. Google Snippet Description: You can save yourself a whole lot of heartache by performing a full inspection before buying a used vehicle. Check it out.